洪延姬, 张鹏, 沈双晏, 等. 等离子体对燃气在补燃室中燃烧特性的影响[J]. 北京航空航天大学学报, 2017, 43(2): 233-239. HONG Y J, ZHANG P, SHEN S Y, et al. 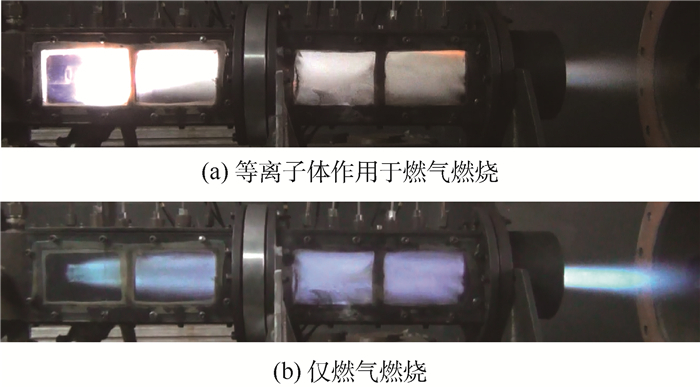 Effect of plasma on combustion characteristic of fuel gas in afterburning chamber[J]. Journal of Beijing University of Aeronautics and Astronsutics, 2017, 43(2): 233-239. Abstract: In order to study the influence of plasma on the combustion characteristic of multicomponent fuel gas in the ramjet chamber, a multicomponent fuel gas supply system and a diffusion combustion experimental model based on the ramjet, which can exclude the mixing effect of intake air on the fuel gas, are designed and built. 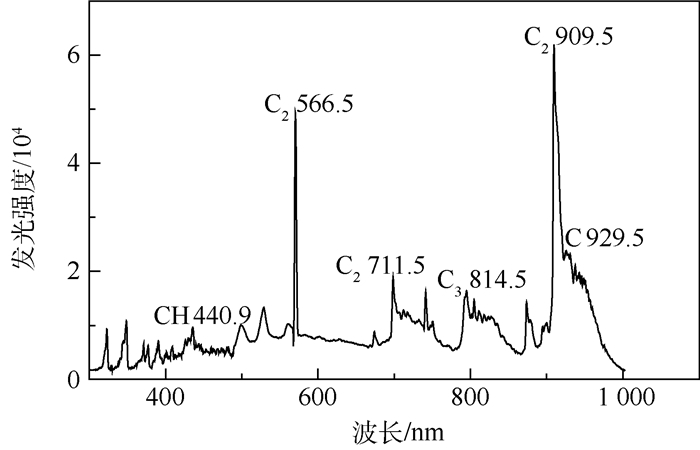 The main active particles produced by discharge plasma torch are analyzed with emission spectrometry; the flame combustion photos of multicomponent fuel gas is taken to analyze the influence of plasma on the flame shape; the total pressure and static pressure on four different cross sections of the afterburning chamber are measured to analyze the combustion efficiency of fuel gas under the influence of plasma. The results show that the main excited particles of N2 and O2 are generated with excitation of plasma; under the active particles of plasma, and the flame length in the scramjet nozzle becomes shorter, which means that multicomponent fuel gas can burn more completely with plasma; the abrupt increase in the total pressure and static pressure appears when plasma is working, which shows that the combustion efficiency of multicomponent fuel gas in the ramjet increases with plasma too, and the combustion efficiency increases with the growth of discharge plasma power. 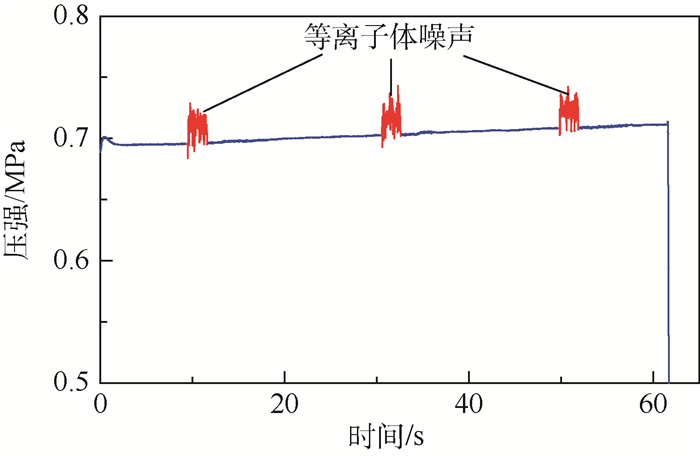 STARIKOVSKII A Y.Superfast homogeneous plasma ignition of hydrogen and air-fuel supersonic flows by high-voltage ionization wave[R].Dolgoprudny:Moscow Institute of Physics and Technology, 1999. 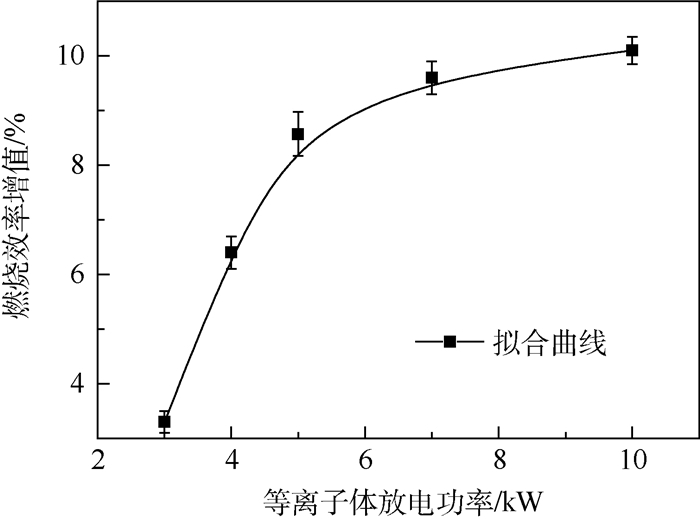 STARIKOVSKAIA S M.Kinetics in gas mixtures for problem of plasma assisted combustion[R].Dolgoprudny:Moscow Institute of Physics And Technology, 2010. INOMATA T, OKAZAKI S, MORIWAKI T, et al. 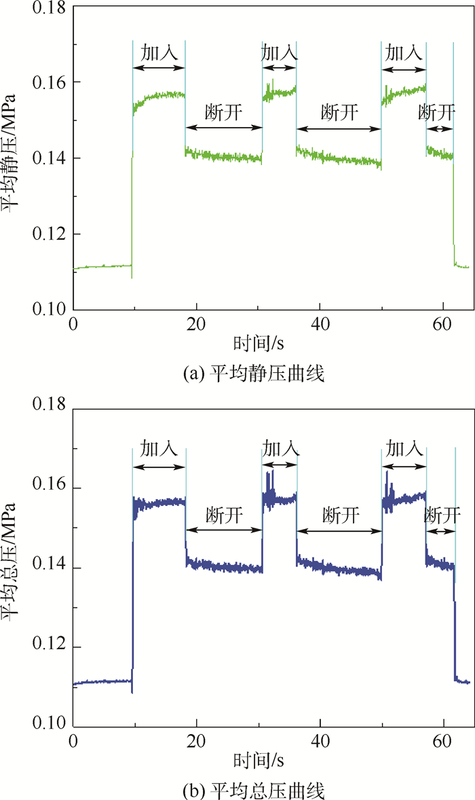 The application of silent electric discharges to propagating flames[J]. Combustion and Flame, 1983, 50	(3): 361–363. JU Y G, SUN W T. Plasma assisted combustion:Dynamics and chemistry[J]. Progress in Energy and Combustion Science, 2015, 48	(1): 21–83.